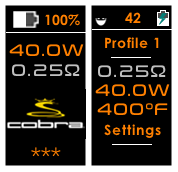 For Boost on Watt-Mode install EScribe Suite 2.0 SP6. 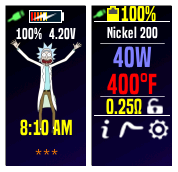 For those who want a theme similar to the original but with a different graphic touch. 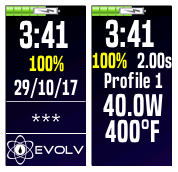 This theme is inspired by IVÆ's 'Evolve 24Hour Big Letters BusardoStyle' theme (I have the same complaint everything is to small ). 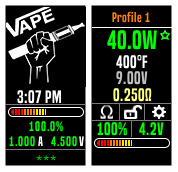 It doesn't have the boost controls yet (it does have Preheat), as I tend to vape Temp control exclusively (i will get there eventually once i figure it out). 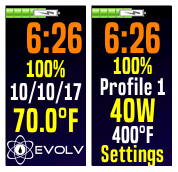 Boost and preheat menu over Profilsettings. Specifically For Jeff Jacobs's Lost Vape Paranormal, Can Be Used On The Therion 75C Just Fine. 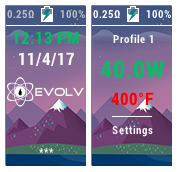 Added boost and preheat menu over Profilsettings. Based on Data Miner Lite be RuthlusB. Had trouble with the original post and got lost, so I'm re-uploading the theme. 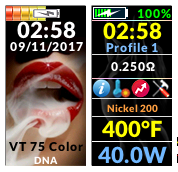 I just did some minor modifications to DJLsb's theme/interface...removed the background, changed the lock screen a bit, also the coloring on some fonts and on the usb/pc connection images. Just wanted to have some fun. 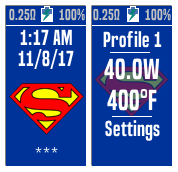 v1.0.1: Removed an unnecessary condition I added for watts read at main screen, also removed one background image to reduce file's size and at last added battery pack voltage read at lock screen. 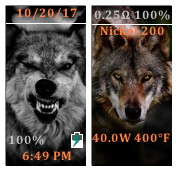 Just a simple wolf theme with a grey and orange color scheme. 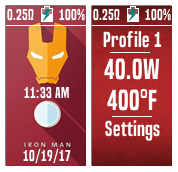 Simple Ironman theme, will make other versions! Credit this theme to Mr Frank. 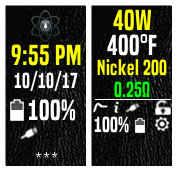 The theme got a 24 hour clock or 12 but without a/m-p/m. 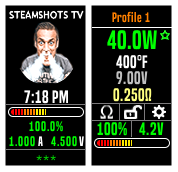 You can see the real time in Main screen/vaping mode. 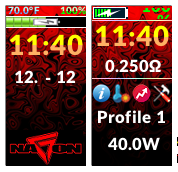 Its made so you can adjust the wattage by 1 watt ,just a easy theme to deal with. 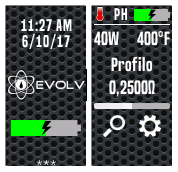 This is one of the most Complete Themes made by DJLsb ,With black screen and Evolve Logo. 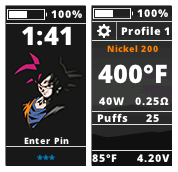 I try to make it easy to read With a black screen Thanks to DJLsb for a great working Theme. 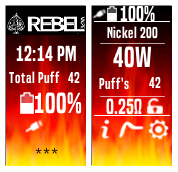 Based on DJLSB Vapes theme but modded in a few areas to suit Rebel Vape mod. 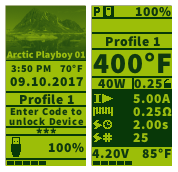 This Theme is losely based on DJLSB Vapes' Lost Vape Therion Theme, it took however huge influence from Team NFE's ArcticFox FW. 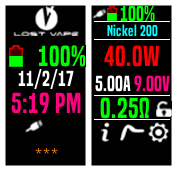 24 Hour green clock ,you can see the watch when in vaping mode. Made for Vapecig Creator 75W Color. 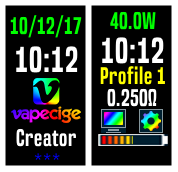 24 Hour clock ,you can see the watch when in vaping mode. Made for Vapecig Creator 75W Color. 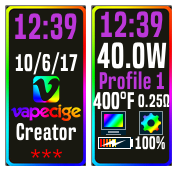 Thank to @VapingBad and to his theme. This is an Italian translation. just simply that. In general is His theme! 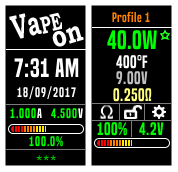 Sperando di aver fatto cosa gradita, ho tradotto e condivido il tema di VapingBad ... A tutto vapore!